The Divorce and Family Law Group provides the firm’s clients advice and representation in custody, child support, divorce, adoption, paternity, prenuptial agreements, guardianships, nursing home issues, elder law and other family matters. With access to the expertise of the firm’s tax, business and estate planning partners, we are able to address complex business and marital estate issues, division of retirement plans and the tax consequences that flow from the division of assets. Members of the Group are available to guide clients through the entire process while maintaining the professional, courteous and understanding atmosphere necessary during a time which can present many difficulties along the way. While many family law issues are resolved through negotiation, we have a team of skilled litigators to serve your needs at both the trial and appellate level. Our team has extensive experience and have earned a well-respected reputation in the various counties in which members of the group practice. Members are familiar with local court procedure and have established strong professional relationships with the judges who preside over the court systems. The Group’s attorneys stay current in the ever-changing area of family law through continuing legal education, periodicals and networking. With the help of a dedicated and professional support staff, the Group ensures that clients are kept informed about and involved in their cases. The Group’s extensive resource bank allows its attorneys to represent the firm’s clients efficiently, cost-effectively and promptly. Each family law case presents a unique situation which involves real people and real problems. The firm’s representation affects many aspects of its clients’ lives and we are extremely cognizant of the impact we can make. This attention to detail and to its clients’ needs makes WilliamsMcCarthy LLP the best choice for every type of family law matter. 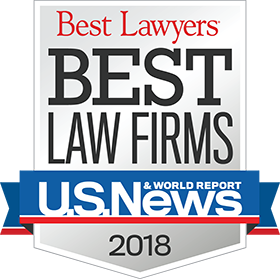 The firm’s Divorce and Family Law Group seeks to provide the best legal advocacy for each family law client and strives to exceed the high quality reputation that WilliamsMcCarthy LLP has earned over the years.